The MMA Lab team and JCBJJ Affiliates competed this past weekend in the 6th Arizona International Open and it was a great weekend. 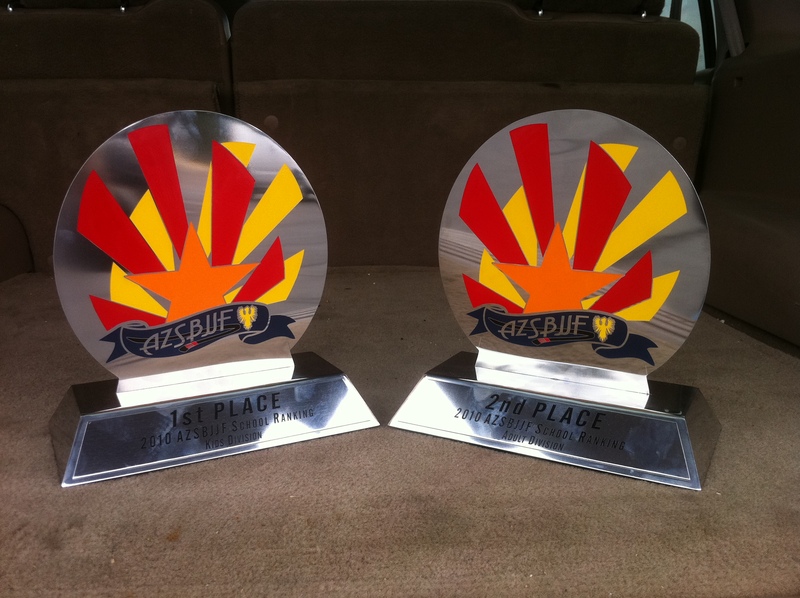 The awards were given for the 2010 season and the MMA Lab adult team placed 2nd and the Lab kids placed 1st! “Smooth” Ben Henderson also won the MVP award for best competitor for the 2010 season. As for the results of this tournament weekend, both the Lab adults and kids placed 2nd, turning in many great performances in what was a very rewarding weekend. Both Southwest MMA and Goodyear BJJ had very successful tournaments with a number of medals to show for their efforts. Thanks to everyone involved, it was an awesome time! There are a few new photos on the MMA Lab photo page and we will be adding new videos to the competition page very soon. This entry was posted on Sunday, February 27th, 2011 at 9:55 pm	and posted in News. You can follow any responses to this entry through the RSS 2.0 feed.